This entry was posted in Professional Sports, Reputation Management, Sports and tagged Colts, Jets, New York, Reputation, Super Bowl by RepMan. Bookmark the permalink. As intriguing as a New Milford/Jets party sounds, Med Guy, I’m already committed to a local event on Sunday. Thanks for the invite, though. Ah, yes. I remember when football season was over by the second week in January. hey rep- wanna head up to new milford for a peppercom/fairway jets party? The Jets are red hot while the Chargers have been cooling their heels for a few weeks. Advantage: Jets. And, I agree the 1970 Super Bowl Champion Chiefs also helped legitimize the old AFL. But, no one can ever take that first-ever AFL Super Bowl win away from the Jets. It was a game breaker. Literally. Thanks Lunch. Sorry about your Eagles. Change must be in the wind in Philly. I like the Jets this weekend. The Chargers are really good, but they usually crumble when the games matter/you play for next week’s game. Plus, I think the DBs will give Rivers fits. And, as a huge fan of Buddy Ryan, I will agree that I like his son, Rex as a motivator. He is a breath of fresh air and actually offer quotes to reporters and cameras that haven’t been said a million times over by his coaching brethren. He actually says what he feels!!! Yes, they won the game but I still have to wonder. I saw the first half and part of the third quarter before going out. I think the playoff games — as a whole — this weekend were wild. 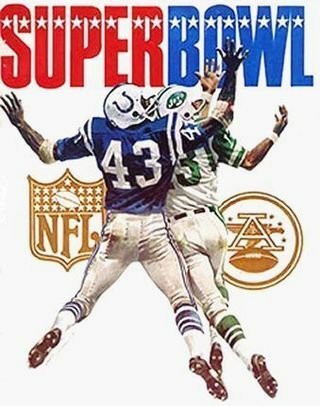 Dallas blew out Philadelphia, Baltimore shocked New England and Green Bay-Arizona was a shootout reminding me of the old Chargers-Bengals with Air Coryell against Kenny Anderson and Co.
Rex Ryan is a master motivator. But are the Jets really all that good? After all, Cedric Benson from Cincy ran for 169 yards. It was the couple of turnovers and QB Carson Palmer couldn’t complete a pass. Frankly, though, the Jets can be sitting in a good position. San Diego is not a running team and becomes one-dimensional and while Ryan wasn’t there, the Jets have played San Diego tough in the past. But the Chargers have one of the best punters in the league (who would think talking about punters) and let’s face it — Phillip Rivers is Phillip Rivers. It will be same game plan for Jets. Run the ball, play defense and limit mistakes. Sounds like the old Bill Parcells way of playing football, huh? And while the Jets became the first AFC team to win a Super Bowl, I think Kansas City’s 23-7 win over Minnesota in Super Bowl 4 really added credibility.